It looks simply inviting. It's a ten! I've bookmarked this recipe too! Looks like I have to make this soon! 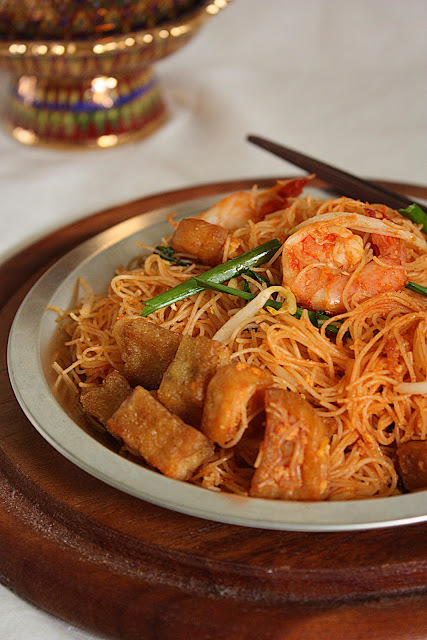 this sound very similar to what I usually cook, Thai style of fried meehoon. Your Pad Thai sound really delicious! I am also searching for the perfect Pad Thai. I will know it when I taste it! Great job zurin! Pad thai always bring back funny memories of a hands-on thai cooking class i went to several years back with some uni friends. We all couldn't cook then, and our table was the only one whose pad thai sauce over-bubbled and flowed out of its pot and all over the workspace.. Haha.. I thought it was hilarious but the chef was a grumpy old dude and he was not very happy with us! Un piatto fantastico, la foto è splendida, complimenti. Ciao Daniela. 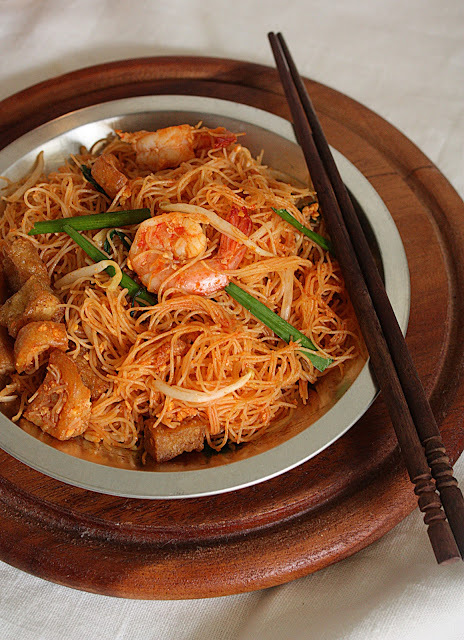 Oh my, Zurin, your pad thai is simply mouth watering. 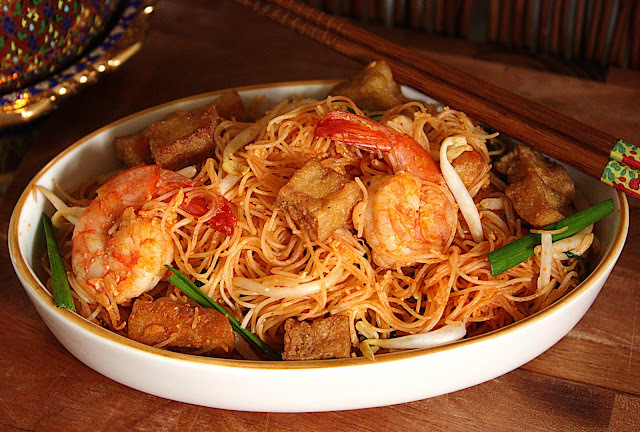 It's one of my favorite Thai dishes and not as difficult to make as it looks. You make your own noodles?...fantastic. I am going to make this one too! It looks so mouthwatering! WOW! Love this dish. Can't wait to try it...looks so yummy! Looks fabulous to me...I would not mind having that for dinner anyday! Especially if you made it. I've been wanting to make Pad Thai. Your blog is super cool! Thanks for sharing, what a beautiful and tasty Pad Thai, one of my favorites! Oh, man, I love pad thai. I've never been able to make a good one, though. I think I'll try this one. THANKS! u make me homesick. a little. Looks good even though you are using bee hoon! I have yet to find a seriously yummy pad thai recipe. It's so much better in the restaurants! Yours actually looks good and may tempt me into making it again. 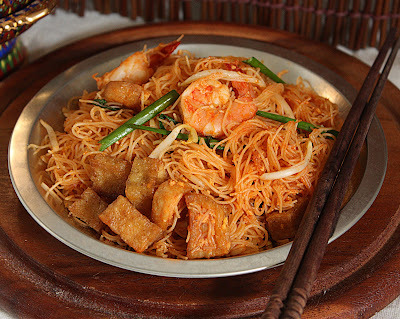 Pad Thai seems to be one of the most basic must try Thai dish. I have not tried cooking this. I really should give this a go soon. Looking at your photos, you have me craving for some now.